« Send Us Your Picture! Art on Water. Thanks Ya’ll. 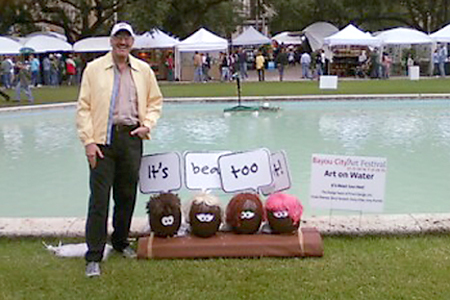 Bayou City Art Festival. 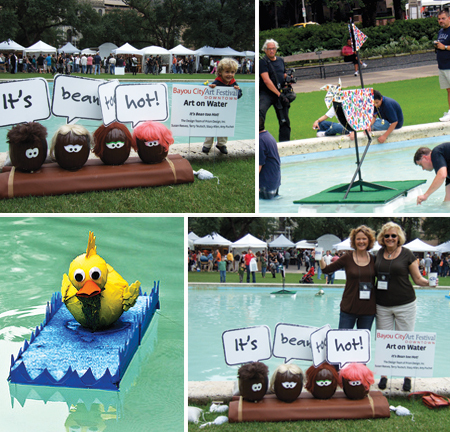 Our first ever floating sculpture, floated this past weekend, in the Art on Water, Bayou Art Festival… well sort-of. Although we experienced a few hiccups concerning the weather; all-and-all it was fun. Thanks to everyone who came out to support us and congratulations to this year’s winners! See some of the amazing sculptures in our collage below. 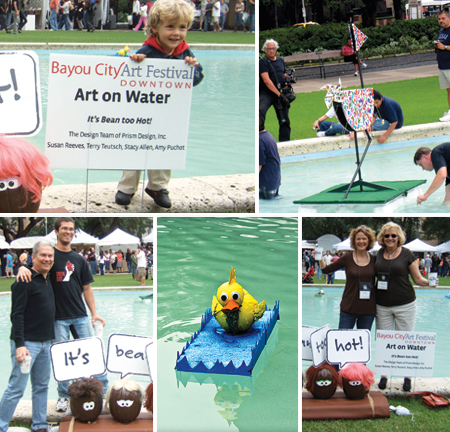 This entry was posted on October 16, 2009 at 3:16 pm and is filed under Art Shows, Events. You can follow any responses to this entry through the RSS 2.0 feed. You can leave a response, or trackback from your own site. How wonderfully creative! Nice work! Your ‘beans’ are darling. You always impress me. It’s been awhile since I viewed Prism’s web site and, I must say, Ya’ll do good work! Fun!!!! You are SO clever. 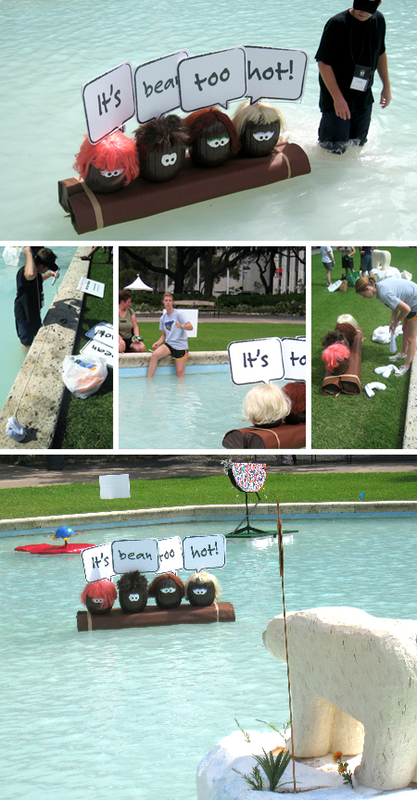 Thanks for sharing your fun photos. I love the blog! My mom tells me you had photos of a trade show booth space that might be intersting for me as we’re in the process of revamping our booth. Can you point me in the right direction on the blog and/ or send me images/ vendor info. Thank you. We’ve had amazing feedback on this project and have received requests for designing similar booths. The name of the booth manufacturer is Xpressions. You will have to purchase it through a booth distributor in your area or give me a shout if you would like our help. I’ll send you an email with more images.